These are currently NLA and This pair still has the stickers on them. Nankang NS-20 has four straight wide grooves enhance tire drainage and maneuverability on wet condition. The new silica tread compound makes NS-20 have excellent grip ability. The two sub straight grooves on tire shoulder not only share the main grooves drainage, but reduce tread wear efficiently. The kerfs can reduce pattern noise cause by tire rolling and the Sipes on tire shoulder reduce tire block rigidity, lower the noise form road, and increase comfort ability. 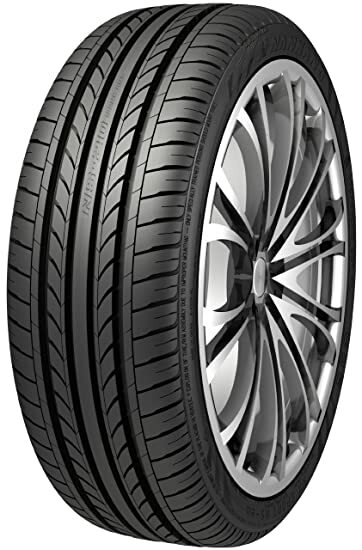 Nankang designed NS-20 tires with 5 pitches computer simulation technology. This computer formula can reduce tire noise efficiently, thus making for a quiet ride.